Inbound tours to Armenia and the region. Highly qualified tour guides and interpreters. Hiking and cycling tours for nature and adventure lovers. We are happy to introduce you Ayrarat Tour LLC as a beginning of our possible future collaboration. 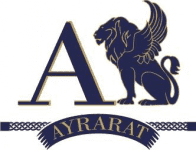 Ayrarat Tour was founded in Yerevan in 2015 and during these years of painstaking activities and detailed researches, we have managed to become a solid and trusted participant of Armenian tourism.